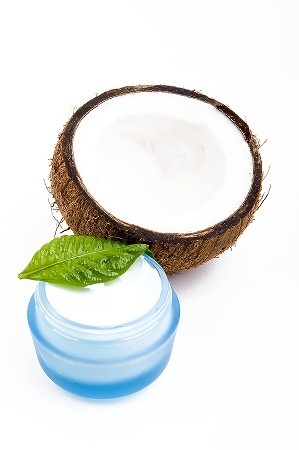 Here is yet another study showing the superiority of coconut oil in healing skin problems. Back in the years 2000 and 2001, when Marianita and I began to make our virgin coconut oil available to the U.S. market while still living in the Philippines, almost nobody was consuming coconut oil as a dietary oil, due to the anti-saturated fat bias in the U.S. But we quickly learned that coconut oil had an avid following of enthusiastic fans for external skin purposes, and was a highly sought after ingredient in many skin care products that emphasized natural ingredients instead of chemicals. What’s hilarious about this recently published study out of Malaysia, is that (at least in the abstract) they don’t even mention the words “coconut oil,” using rather the latin name for coconut: Cocos nucifera Linn. Could this be because the “School of Pharmacy” at a medical university conducted the study, and is hoping to develop a patent-able drug from the research? If so, then they would surely not want people to think that coconut oil by itself could achieve the same results! In this most recent study, they looked at coconut in various other gel bases (presumably with the idea of developing pharmaceutical products) and found that coconut was effective “against various strains of microorganisms.” While they don’t specify coconut oil, even if they were using whole concentrations of dried coconut, that would be comprised of 65-70% coconut oil. Other studies also confirm that the antimicrobial effect of coconut oil. 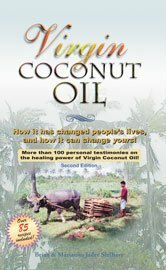 See our peer-reviewed research section at CoconutOil.com.